Place all 3 cheeses in a medium bowl and leave them for about 10 min to allow them to soften. I cut my fresh chives with kitchen scissors right into the bowl of cheeses. Cut about 2 teaspoons into the bowl. Then, add cranberries and Tradition Vinaigrette. Mix well. I gloved my hands and formed the ingredients into a ball. Freeze for 30 min. Lay out a small sheet of wax paper. Pour chopped pecans on the wax paper. 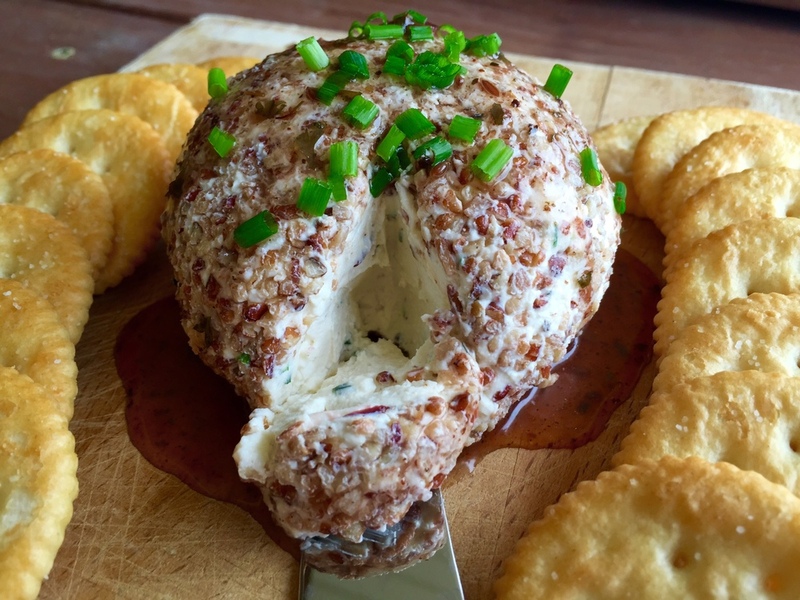 Roll the cheese ball in the pecans coating the outside evenly. 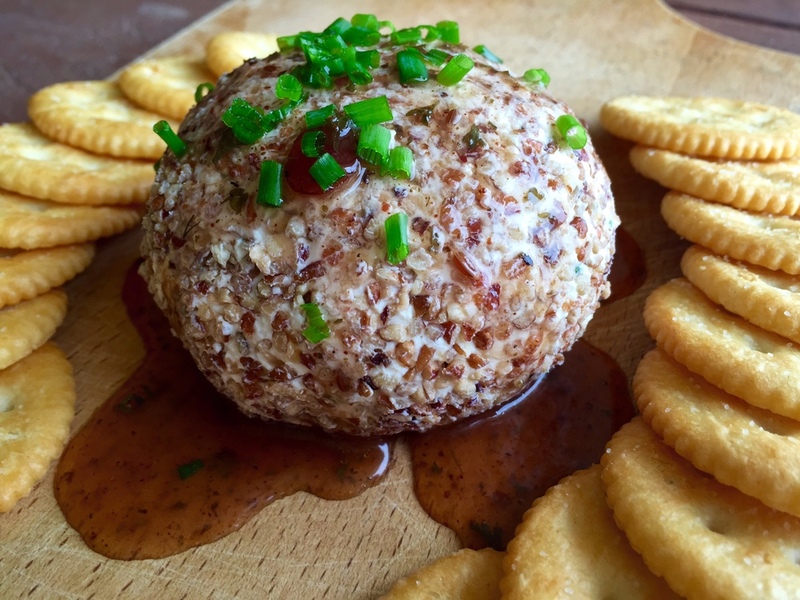 Plate your cheese ball. Drizzle a little more Tradition Vinaigrette on top and garnish with about 1/2 teaspoon cut/chopped chives. 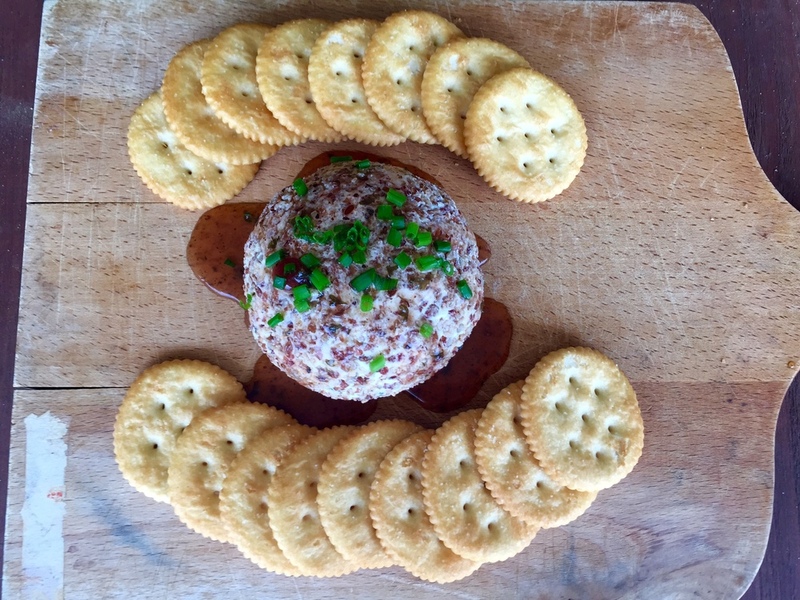 Serve with your favorite crackers.